Right man...wrong color? LaShondra has done the work on herself first. She's gotten her education and, more importantly, developed a strong relationship with Christ. Now, she's ready for a man-but not just any man. She wants a Boaz, a godly man...who's gainfully employed...and it would hurt if he looked good, too. 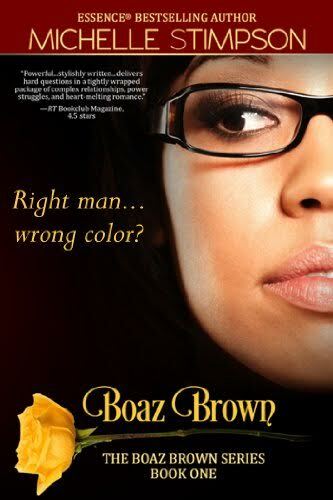 God answers with three out of three, but there's a twist: her perfect man, Stelson Brown, isn't African-American. Boaz Brown is the first novel of bestselling novelist Michelle Stimpson. In essence, it launched her career as a writer and is still one of her best-loved works.